For any person desiring to understand God, the spirit world, and what happens to us after we die, R. J. Lees’ books can provide a great deal of information, inspiration, and encouragement. Robert James Lees (1849-1931) was a spiritualist who wrote six books about the “undiscovered country” beyond death and the workings of God’s Laws and Love in that world and our own. 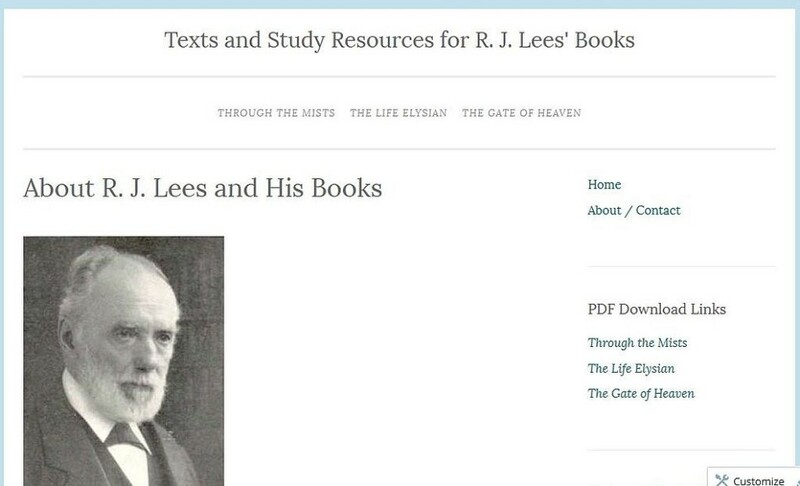 My R. J. Lees site provides texts of the “Through the Mists” trilogy and study resources from a Divine Truth perspective. I am making chapter-by-chapter audio recordings of the three books, beginning with Through the Mists.